Sharjah is the third most famous and important place in UAE after Dubai and Abu Dhabi. Large number of foreigners are residing and doing business in Sharjah due to the economic benefits available here. An important reason that distinguishes Sharjah from other two important emirates is its cost-effectiveness. Sharjah provides valuable resources to foreign investors in very low cost as compared to Dubai and Abu Dhabi. It is the reason that this emirate attracts large number of businesses related to small and medium industries. An important area that is used by various emirates in UAE to attract entrepreneurs and investors is free zones. All the emirates in the country are providing these free zones for various types of business activities. Dubai is by far ahead in this structure. But now all the other emirates are also trying to go ahead after adopting new economic policy. Sharjah is trying to provide more facilities to various industries through these free zones and it is not far behind Abu Dhabi in this respect. Sharjah is providing several free zones for investors and entrepreneurs and one very special free zone here is Sharjah Airport International Free Zone (SAIF Zone). 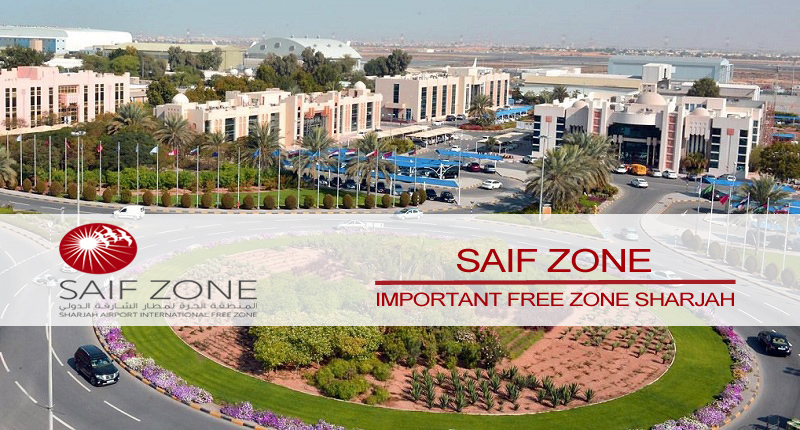 This free zone is located at the vicinity of Sharjah International Airport. According to the general business policy adopted by Sharjah, SAIF Zone is an ideal place for all types of small and medium industries. This is an ideal location as the companies can easily use air transport for various import and export purposes. These are few of the several advantages available to the companies having their main or branch offices in SAIF. This is one of the best places in UAE for all types of medium and small businesses. If your company belongs to one of these industries, then we can help you get complete information and establishment of your company in SAIF. We provide assistance in providing trade license in Dubai and other emirates of UAE.